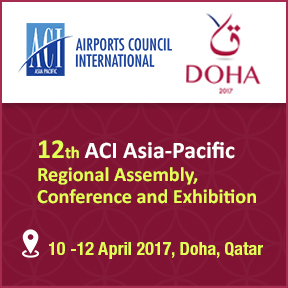 The 12th ACI Asia-Pacific Regional Assembly, Conference and Exhibition will take place in Doha, Qatar from 10-12 April 2017. Over the years, the ACI Asia-Pacific Regional Assembly, Conference and Exhibition has made its name as one of the most important aviation events in the region, addressing major issues affecting the aviation industry and attracting high level representation from airports and industry partners, including airlines, regulators and suppliers from all over the world. During the two-day conference, you will meet strong panel of speakers comprising top airport and industry experts as they share their expertise and knowledge through ACI interactive and thought-provoking discussions. Meet Mr. Vikas Gupta (CEO, GrayMatter and ACI Asia-Pacific Regional Board Director (WBP) who is going to speak about “GrayMatter’s Airport Analytics (AA+) Road-map for Airports” in 12th ACI Asia-Pacific Regional Assembly, Conference and Exhibition, Doha, Qatar. GrayMatter experts will be present at the event and will be happy to provide information around AA+, a pre-built enterprise wide analytics solution for Airport Operators. Airport Analytics (AA+) is a comprehensive solution with in-depth analytics for all areas of airports business by integrating data across 10+ airport systems into a centralized data warehouse. Airport Analytics (AA+) drives real-time data driven actions to optimize operational performance. AA+ enables business users to do historical data analysis with role based intuitive and insightful dashboards. AA+ provides what-if modeling for revenues, operations, forecasts and so on with its high end statistical models.